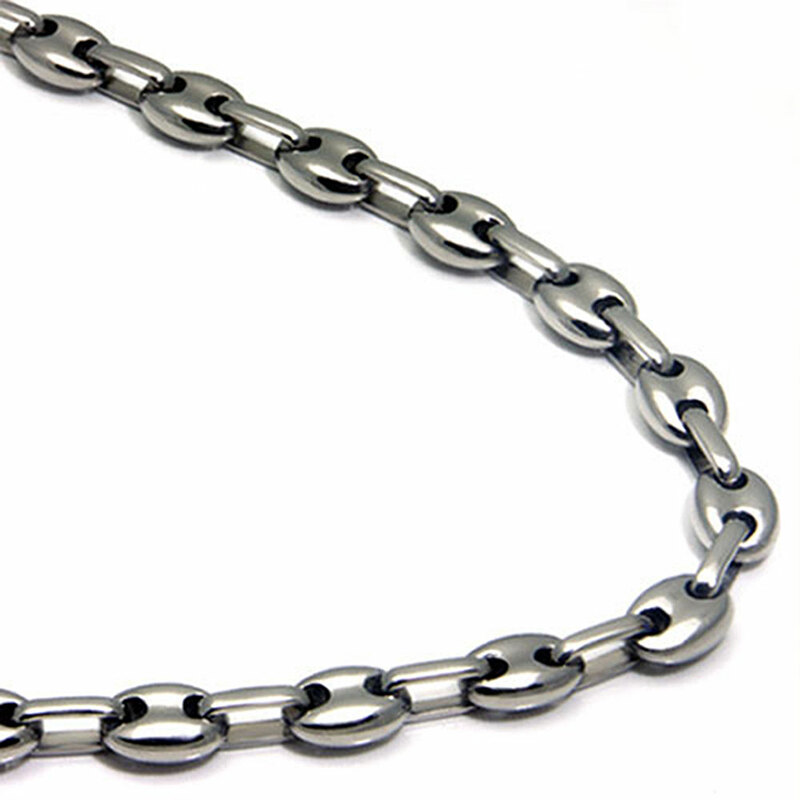 If you like a designer look to your jewelry then you will truly adore our titanium men's 5mm marina link necklace chain and its fantastic look and feel. The unique links of the necklace make it perfect for work, play, or just relaxing on a lazy day off. No matter when the necklace is worn it will always fit with the clothing you choose to wear. The titanium men's 5mm marina link necklace chain is created to be a long lasting necklace that will withstand the daily wear and tear very well. Titanium is double the strength of steel but yet weighs half as much. 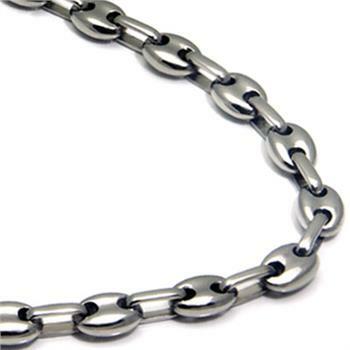 The chain will not twist, kink, or break as what typically happens with silver, gold, and other precious metals. The great thing about titanium jewelry is not only how durable it is but the low price which makes it attractive to people of any budget. If you're going to spend money on jewelry it might as well be on a piece of jewelry that will last a lifetime. I bought this for myself...it`s perfect...I don`t quite understand why it says it`s for men...it can be worn by either men or women. It was a nice cyber monday deal... excellent quality chain. Nice light weight. High shine. Fast shipping. (P.S.- The kroptonite shrink wrap protective wrap is a little overkill.) Great buy as always. Excellent! My body chemistry destroys the look of gold. I hope titanium does better. I was tickled pink when I received this necklace for my husband. I wanted an affordable alternative to gold and this exceeded my expectations ten fold! The metal is very light and the workmanship is spectacular. Thank you for providing such a wonderful piece of jewelry.